Deep learning is a type of representation learning, meaning that a deep learning system converts a large quantity of raw data into a representation that is then used to learn a task. Euler diagram is a diagrammatic means of representing sets and their relationships. Typically they involve overlapping shapes, and may be scaled, such that the area of the shape is proportional to the number of elements it contains. Plantilla de diagrama de Venn en blanco para empezar r�pidamente con los juegos. Llene esta plantilla en blanco del diagrama de Venn con la informaci�n necesaria haciendo clic en usarla como plantilla. Plantilla de diagrama de vena de 3 conjuntos que ilustra la relaci�n entre los conjuntos. To show all possible logical relations between sets. Venn Diagrams are made up of two or more overlapping circles. They are often used to show relationships between and among sets. They are similar to Euler diagrams as well although the representation of data is vastly different. Venn diagrams are quite helpful organizing information in an easy to understand manner. Many people use Venn diagrams for problem solving, as many problems can be easily solved with the assistance of Venn diagrams. Visit the Venn Diagram Templates page to get an understanding of the different venn diagram examples that is frequently used to organize thoughts and ideas in an easy to understand way. 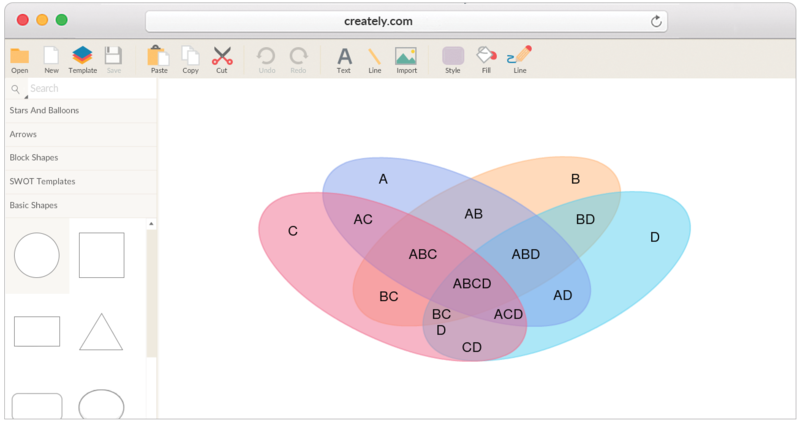 The templates section include 2-set, 3-set Venn diagrams and even Euler diagrams. Browse the community to find out more awesome Venn diagrams contributed by our awesome users. 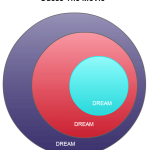 As most of you already know, with the help of Venn Diagrams, you can arrange all your abstract ideas easily. They’re excellent when it comes to making comparisons between groups of things.